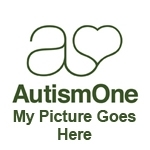 Let me extend to you my personal welcome to our AutismOne Social Network. Before I continue, I might point out that part of our privacy features are that we do not make your email address available to site visitors. If anyone wants to communicate with you they do it through our private messaging system. I notice that you appear to be using your email address as your member ID. Although that is not a problem with us, we do want you to realize that this makes your email address available to anyone logging on to our site. If this is not a problem with you, then you can leave it unchanged. If on the other hand you want to change it then do so by clicking on "My User Menu" (on the right next to the Welcome). From the resulting menu click "Edit my settings". From the resulting window you can change your Username (and PW if desired). To record the change you must scroll to the bottom of the display and click the Save button. Now let me continue with the welcome.